Last Friday, we went to the West to find out what courtship looked like on the American frontier. But, even though set in a similar time period, Elizabeth Camden’s novels have a very different feel. Set in cities like Chicago, Boston, and Washington D.C., they portray a different kind of love story than one set on a ranch or in a small Western boom town. Here, Elizabeth shares the unique challenges of romance for her heroines. 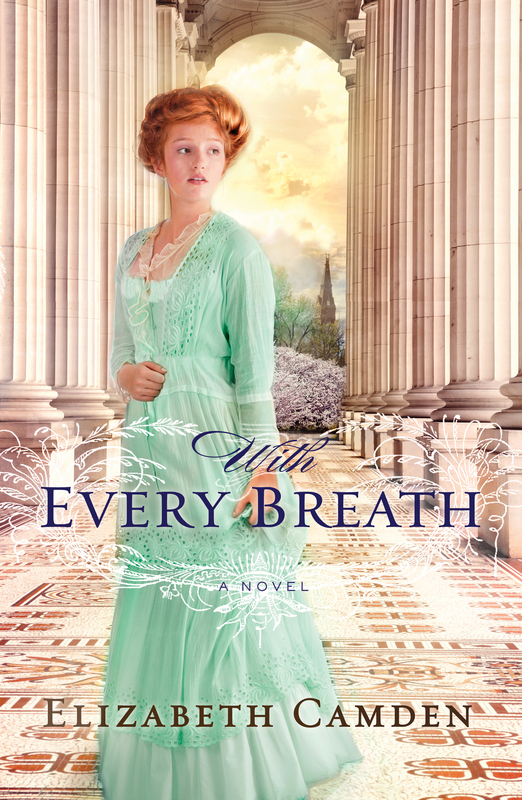 Title and Setting: Against the Tide and With Every Breath, late 1800s Boston and Washington D.C.
What about the relationship in your novel was typical of the time period and what was atypical? The American Civil War brought a surprising opportunity to American women. As men left to fight in the war, the government hired thousands of women to fill office vacancies in Washington, D.C. Even after the war, the floodgates had been opened and it was acceptable for American women to obtain respectable white-collar jobs in cities all over the United States. By 1891, there were 70,000 women working in offices, and by 1920 that number had swelled to half a million. As a romance novelist, this presents an irresistible temptation for me. Although “dating the boss” is taboo in today’s society, in the late nineteenth century women who ventured into the workplace were considered fair game. Sometimes they welcomed the attention of their employers and sometimes they didn’t, but there was no law against workplace sexual harassment until the landmark Supreme Court case of 1974, Barnes v. Train, recognized this as a distinct issue. I’ve always been fascinated by the professional woman of the nineteenth century, and most of my novels feature heroines working in professional capacities. In Against the Tide, Lydia was a translator for the Navy when she met a man who does undercover work for the government. It wasn’t a terribly risqué plot, since Lydia never reported to Bane and could walk away from him whenever she wished. 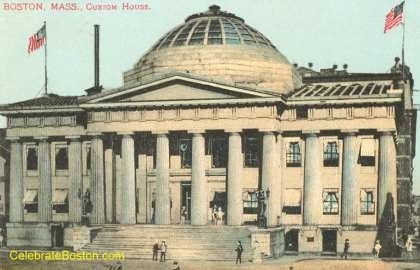 The Boston Custom House where Lydia and Bane often interact with each other, from Elizabeth’s Pinterest board. I got a little more daring in With Every Breath (August 2014). This is a hospital drama, and Kate is a government statistician who is hired by a doctor to help with his research. Kate reports directly to Trevor, and both are well aware of the risks associated with getting romantically involved. “Dating the boss” added a delicious layer of tension and complication to the plot, one which I wouldn’t be free to explore were I writing a contemporary romance. Over the years we have too much instinctive suspicion of relationships that begin with such a disparity of power, but this is a twenty-first century attitude, and I write nineteenth century characters. Trevor and Kate are smart enough to be aware of the emotional danger of their relationship, but it hardly stops them from pursuing it. If you’re curious about professional women in the late nineteenth century workplace, I hope you’ll take a peek at one of my novels! 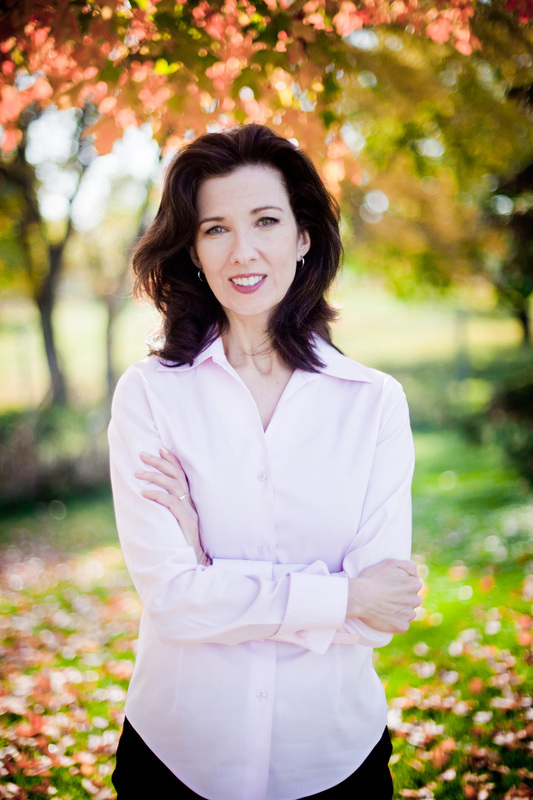 Connect with Elizabeth on Facebook and on her website. For a chance to win Into the Whirlwind, comment below with your thoughts on this question: what event or time period would you most like to see as the setting of a historical novel, and why? The winner will be announced in next Friday’s post! This entry was posted in Uncategorized and tagged Elizabeth Camden. Bookmark the permalink. I love reading historicals. When I finish a story my first thought Is always “look how far we’ve come. The struggles and obstacles are usually unknown or quickly forgotten. Look forward to reading Elizabeth’s books, she’s new to me. Great post. I have always loved the regency era most when reading fiction. I’m drawn to the idea of royalty, the manners and speech of the characters and the romance of the era. Thanks for the interview I look forward to reading Every Breath. I very much enjoy Elizabeth Camden’s books, particularly the strong women in them. I personally love the colonial time period, in the vicinity of the revolutionary war. I enjoy historical novels set in the 1800’s in western America! I am from Oklahoma and i would absolutely LOVE to read a historical romance novel that took place here. Something like the Oklahoma land run…what would it to be like to follow your husband there during that time? What was it like? What about the indians that were pushed out? I think it would make a wonderful novel to read! I’ve been reading since my teens. I’m 53 and find I’m now interested in reading story lines from the 40’s-thru the 50’s. This time when women were coming into their own in a contemporary way. I like the Victorian era, my favorite historical period to read about. I think I first got interested in it due to the Sherlock Holmes stories and also the Amelia Peabody series by Elizabeth Peters. I would love to see a story set in the time period of the pilgrims and the settling on the colonies. I just finished Against the Tide, and I loved Bane and Lydia’s story. I enjoy historical novels that range from the Revolutionary War through WWII. It’s fun to read about all types of eras and settings (including Europe). I LOVE history, so this is very hard for me…. but, I am going to go with… In New York City in 1901. I chose that because at that time in New York City there were many things going on and I enjoy reading stories where an orphan finds love and finally receives the family that that person always wanted. I especially like reading about the Civil War. But I also like the orphan trains, mail order brides, temperance unions and really anything historic. I have learned a lot I didn’t know about these subjects. I like anything interesting, but contemporary can be boring. I’m drawn to the WWII home front. I have been for the last 20 years, give or take. I’m a bit of a hobbyist. One of my favorites is reading newspapers concerning everyday life around 1910-1940. They are much different from today. I enjoy all history, but especially like when settlers would travel to the frontier. The one thing they always had was a Bible, and their faith. For many that is what kept them going. I also enjoy reading about the immigrants and their trials and tribulations they endured coming to the new world. Ellis Island is fantastic to read about. Again their faith kept them strong. I would love to see a WWII setting because I love that time frame and how Americans came together to help and many women did have to go to work as their husbands left. I’m a huge fan of regency novels. Not sure what is most appealing about that time period. But I think I like the clothes and style of homes really makes it romantic. I love to read. And even though I never thought books about the past would interest me, they have! I can’t wait to read these two books! I love it. Historical fiction is such fun–imagining the dresses etc. Love historical fiction, especially the civil war era. I like historical romance of any era. Beautiful cover! It makes me want to read the book. Historical novels that depict the 1940’s and World War 11 are my favorites. I love reading historical novels. My two favorite time periods would be the Civil War era and the West in the late 1800’s. I think my favorite is historical novels set in 1800’s because it was a time when people set out to find themselves going West. Love mail order brides, wagon trains etc. They had to overcome so many challenges just to survive. My other favorite is Civil War period, Again war separated so many and destroyed so much of life. we struggled as a nation to overcome our differences and restore our lives. Both time periods offer us a glimpse of what it took to survive and depend on each other and God. How about something from the 20’s? I would love to see a novel that takes place in the Renaissance. There was so much excitement and also danger about being to read the Word of God in the vernacular! That said, I have liked your novels a lot Elizabeth! I love the early 1900s. Yes you can blame Downton Abbey. That time period is not so different than ours and I can easily relate to people living at that time. I would love to read this. My favorite time period is Civil War Era. I would love to see a historical novel set in the Civil War Era or in the early 1900s. I would most like to see a novel written in the 1880’s in the North. The Guilded Age was booming while the Presidents were interesting charcters. The Gilded Age was a time when everything was not as it seemed. I have always been fascinated with the mail-order bride. First of all, a woman would have to have a very adventurous personality. And second, what made her leave her home to go and marry a man she’s never seen or heard of before the advertisement. Very interesting to pursue stories revolving around the working woman in the 1880s. I don’t think most of us really consider them as having good, interesting jobs other than seamstress, shop clerk, mill worker, house keeper, nurse, etc. We also consider them as working only as a requirement and not a pursuit they actually want to do – make something of themselves professionally. Office secretaries were mostly men at time, I believe. Also, I had not considered women being pulled into the workforce during the Civil War and opening the gates of opportunity to them. Interesting! I pretty much end up loving all Christian Historical fiction. My favorite times to read are in the old west, and in London,. Thanks for the opportunity! Hi Elizabeth, I enjoy reading historical romances in 1800-1900’s when life was simpler and you had to work hard…I would like to see story set in Ky where I grew up. thanks for sharing. I absolutely loved “Against The Tide” and would love to read your new one! What a beautiful cover! Loveeeee Christian fiction…it’s the only kind I read! I don’t have a particular favorite historical time! I’m a lover of all things historical romance, and Elizabeth Camden is one of the best in the Christian Market. I am absolutely in love with her last two books and I’m on pins and needles waiting for the next one. My mom had never read a piece if historical fiction, so I gave her “Into The Whirlwind” and she literally couldn’t put it down. I heard about how amazing it was for the next week. So keep up the great work! I really enjoy historical fiction and particularly when things were rapidly changing for women, women’s rights to vote, advent of automobiles, airplanes and I guess that means early 1900’s is a favorite of mine. I enjoy historical fiction when woven through a time period that an area is settled in the years following the civil war. The years that would cover this I suppose would be 1870’s-1900. I am thinking of the states of Arizona, New Mexico, and Nevada. I enjoy historicals in the 1800’s in the west and also city setting the two books listed here sound so interesting. I look forward to reading them soon. I love reading about their everyday lives, clothing, etc. Thank you for the chance to enter. I love historical romances. The late 1800s or the early 1900s are probably my favorite. Post Civil War era stories are a great way to showing how our country recovered from an internal injury and came back to be one of the greatest nations in the world. The time between thhe Civil War and 1900’s.’ A time when the country was rebuilding. Simple and fresh! I enjoy historical romances during the Wild West settling of America, but I read all kinds of historical novels and romances. Most are Christian fiction.